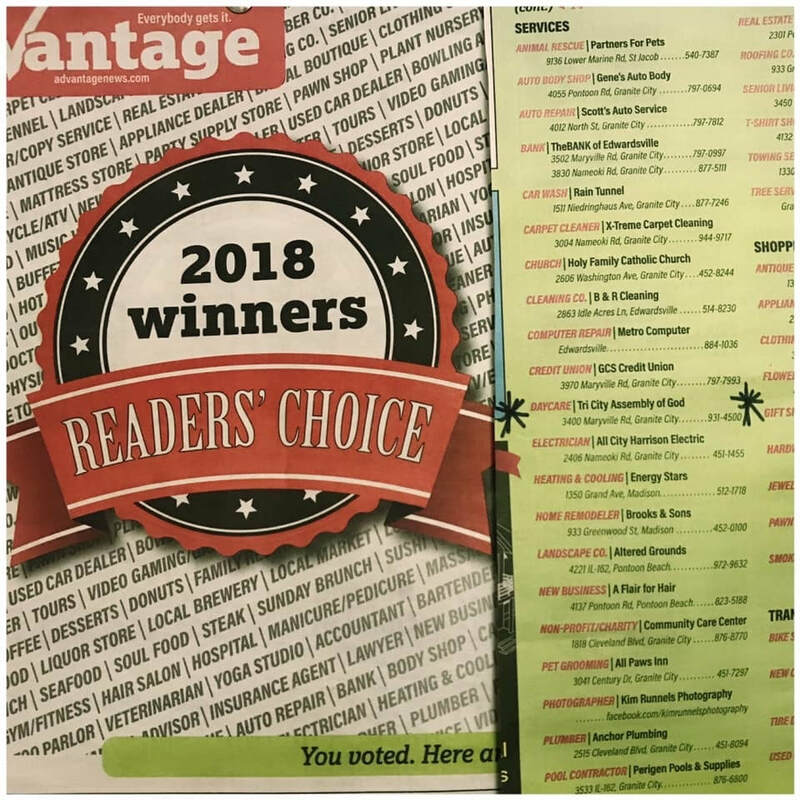 Congratulations to the Child Development Center, 2018 Reader's Choice Award for Best Daycare in Granite City! We have openings in our Daycare! Call Mrs. Spring or Mrs. Abby for information! Tri City Assembly of God is home to the Child Development Center. For four decades the Child Development Center has been a part of the lives of families in the Granite City area. Every child and each family is valuable and important to us. It is an honor for us at Tri City Assembly of God to be a part of your child’s life. Our center is competently overseen by Mrs. Spring Hull, Director and Mrs. Abby Baker, Assistant Director. The training that takes place in your child’s classroom is lovingly and tenderly provided by knowledgeable talented teachers. Each staff member is committed to assisting in the development of your child’s social, physical, and cognitive skills. Our center is open year round and cares for children of all faith and race. The center does not impose the doctrine of the church, however, we do hope to implant an appreciation for God and to instill spiritual values, which we feel are a great asset in the development of each child. We are dedicated to the healthy development of the whole child, mentally, physically, socially and spiritually. Our center operates five (5) days a week, Monday through Friday, from 6:30 a.m. to 6:00 p.m.
For more information, call our Daycare office at 618-797-6622. Support Tri City Assembly of God Child Dev Ctr through your shopping experiences with Schnucks Markets. Pick up an eScrip card at your local Schnucks Market Service Desk and register it online at eScrip.com. Copyright © 2017 Tri City Assembly of God, All rights reserved.